The Solid Waste Management Bye-Laws 2018 for the National Capital Territory of Delhi (NCT) were notified on January 15, 2018 by the lieutenant governor (L-G). For the first time, the bye-laws have been framed under Section 5 of the Environment (Protection) Act and not the Delhi Municipal Corporation Act, 1957. All the five local bodies—NDMC, South DMC, North DMC, East DMC and Delhi Cantonment Board (DCB)—shall enforce the bye-laws in their jurisdiction. The bye-laws were framed by a 16-member committee constituted by the Delhi High Court. The members of the committee include Centre for Science and Environment, Ministry of Environment Forest and Climate Change (MoEFCC), Ministry of Urban Development (MoUD) and all municipal corporations of Delhi. The five municipal corporations, comprising over 280 wards, generate approximately 14,000 tonnes per day (TPD) of solid waste. However, we do not have a clear idea whether these are accurate figures. Per capita generation in the city ranges from 550-600 grams per day. As per the figures provided by the MCDs, over 10,500 TPD of garbage is collected. The city has a processing capacity of 6,100 TPD, thanks to its three incineration plants and two centralised composting units. 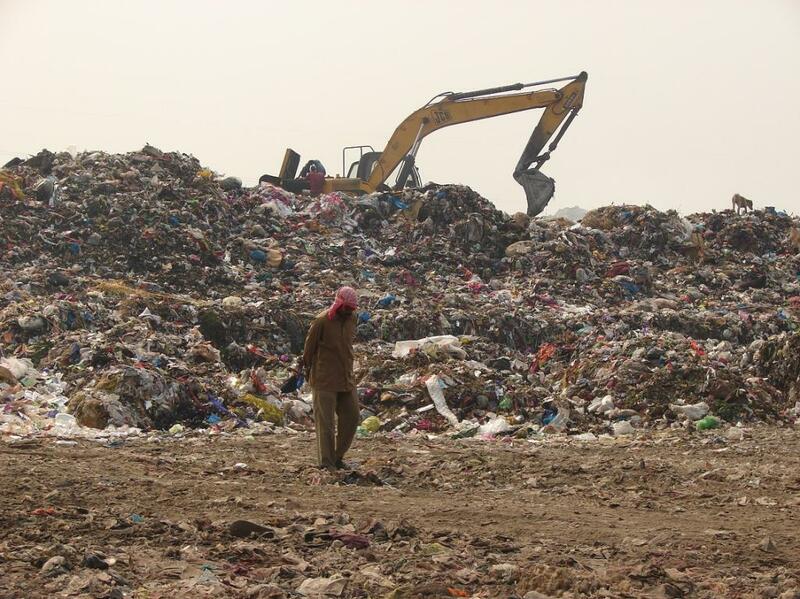 Approximately 4,600 TPD is disposed in three dumping sites of Delhi—Okhla, Bhalswa and Ghazipur. According to Arpit Bhargava, one of the petitioners at the Delhi High Court who had sought directions to municipal bodies to take steps to prevent the spread of dengue, chikungunya, and malaria, these bye-laws put the onus on waste generator and shall further push them to adopt sustainable lifestyle. The major emphasis has been given on segregating waste and making the generator accountable. Under Section 5 of the bye-laws, MCD will provide door-to-door collection and transportation of segregated solid waste, including in slums and informal settlements by integrating informal door-to-door collection system with the municipality. Area-wise time slots for waste collection will be set and published on the website of MCDs. The MCDs will also ensure in-situ treatment of biodegradable waste, for instance, in fruit and vegetable markets, residential areas and RWAs. Under section 6 of the bye-laws, all the secondary storage points (dhalaos) will have covered colour-coded containers for storing wet, dry and domestic hazardous waste. The MCDs shall convert the existing dhalaos into recycling centres for further segregation of dry waste. Households should be able to directly deposit or sell their recyclable waste to authorised waste dealers at these recycling centres at pre-notified rates. The MCDs will involve informal sector for managing these recycling centres. Moreover, a deposition centre will be made available in each ward for collecting domestic hazardous waste. Under section 8 of the bye-laws, preference will be given to decentralised waste processing like biomethanation, composting, and any other method for biostabilisation of biodegradable waste so that transportation cost and environmental impacts are minimised. For waste-to-energy plants, absolute segregation of waste has been made mandatory. The MCDs need to ensure that horticultural, park and garden waste is processed in parks and gardens as far as possible. All the inert and residual waste has to be disposed in a manner prescribed under the Solid Waste Management Rules, 2016. All brand owners, who are responsible for selling their products in non-biodegradable packaging material, will have to put in place a system to collect back the packaging waste generated. The bye-laws also hold the manufacturers/brand owners/marketing companies of sanitary napkins accountable for generating waste. They have to now explore the possibility of using all recyclable materials in their products and educate masses for proper wrapping and disposal of such waste. The MCDs will take deposits from event organisers and give refund on the completion of the event after ensuring that the public place where the event was conducted was restored to a clean state and any waste that was generated has been collected and transported to the designated place. The SWM bye-laws, thus, provides legal teeth to ensure the status of solid waste management in the capital improves. However, the MCDs need to take action on the ground and ensure that the details of the bye-laws are widely disseminated. “It is imperative to circulate the major highlights of these bye-laws in all major dailies and public hoardings to educate the masses on their role and responsibility concerning solid waste management,” says an official of the EDMC, who refused to be quoted. The East Delhi and South Delhi Municipal Corporation also plan to distribute a set of two bins, for once, to push households towards segregation. “Waste segregation has to start from the generator, and lot depends on their will to keep their city clean,” says Bhargawa. “The MCDs, on the other hand, need to create systems to support end-to-end segregation, collection and transportation, processing and appropriate disposal of solid waste,” he further adds. It is only then that we would be able to witness a Clean Delhi. Else, this would just be a good policy with no action on the ground. A total shift in thinking is needed to overcome the problem.Lot of efforts are needed at individual level , community level and government leevel. Lessons on waste to resource should begin in kindergarden scbools itself. Can you please provide names of the companies running three incineration plants and two centralised composting units in Delhi ? I want to start micro level waste management. But I don't know how to marketing the recycle material. If it's possible so many people will start waste management as business.